American actor turned martial artist, David Carradine, was born in Hollywood, California, on December 8, 1936. He is best known for his leading role as a warrior monk, Kwai Chang Caine, in the 1970s television series Kung Fu. David Carradine was not a martial artist before taking on the role of Kwai Chang Caine, but he was an accomplished dancer, a boxer, and had done some swordfighting and street fighting. It wasn’t until the final season of Kung Fu that Carradine began to take his study of kung fu more seriously. 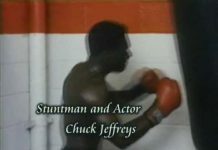 By this time, he was skilled enough to do his own stunt work instead of stunt doubles. 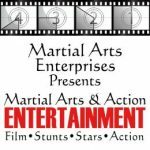 David learned kung fu first from Kam Yuen, the technical and kung fu consultant on the Kung Fu TV series, and later from Rob Moses, a student of Kam Yuen’s. David Carradine also authored a book about kung fu philosophy called Spirit of Shaolin, A Handbook of Kung Fu Philosophy. David Carradine was born the eldest son of legendary character actor John Carradine, and his wife, Ardanelle Abigail (McCool), David was the Patriach over a family of actors family that included brothers Keith Carradine and Robert Carradine as well as his daughters Calista Carradine and Kansas Carradine, and nieces Ever Carradine and Martha Plimpton. 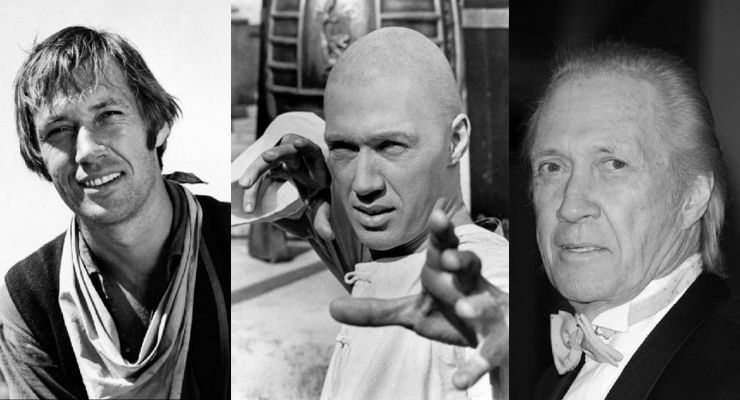 David Carradine was born in Hollywood and atended San Francisco State College, studying music theory and composition. While writing music for the Drama Department’s annual revues, he discovered he loved the stage and he joined a Shakespearean repertory company, and he learned to act on his feet. After a two-year stint in the army, he found work in New York as a commercial artist and later found fame on Broadway in “The Deputy” and “The Royal Hunt of the Sun” opposite Christopher Plummer. Taking his Broadway experience back to Hollywood, he landed the lead in the short-lived TV series Shane (1966) before he was given the opportunity to star opposite Barbara Hershey in Martin Scorsese‘s first Hollywood film, Boxcar Bertha (1972). It was the ABC hit series Kung Fu which began in October of 1972 and lasted until April of 1975, that made David Carradine a superstar, and it, probably more than any other television series, helped to popularize Asian martial arts and eastern philosophy in the west. 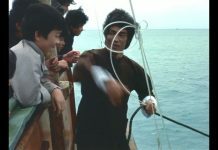 In Kung fu, David plays a half-Chinese, half-Caucasian Shaolin monk, Kwai Chang Caine, shown in flashbacks as a child called “Grasshopper”. 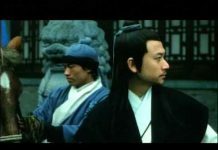 The casting of a Caucasian in the monk role carried with it controversy in the Chinese community, but the show did provide steady jobs for several Asian-American actors in the United States. Keye Luke played the blind Master Po and Philip Ahn played Master Kan, both leading roles in the series as Caine’s Shaolin masters. Robert Ito, James Hong, Benson Fong, Richard Loo, and Victor Sen Yung all appeared frequently in the series. The Kung Fu television series ended when David Carradine left to actively pursue a movie career, but he did reprise the role of Kwai Chang Caine in Kung Fu: The Movie 1986. In his acting debut, Bruce Lee’s son Brandon Lee portrayed Caine’s son, Chung Wang in Kung Fu: The Movie. 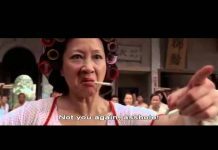 In 1991, David Carradine reprised the role of Kwai Chang Caine in a cameo appearance in the TV movie The Gambler Returns: The Luck of the Draw, in which Caine uses his Chinese friends to help the title character, Brady Hawkes, played by Kenny Rogers in 1903 San Francisco. Early in the 1990s, David Carradine once again reprised the role of Kwai Chang Caine in the television series Kung Fu: The Legend Continues (1993–97) playing the grandson of the original character of the same name. He not only starred in the series, but he served as executive producer and director. The TV series offered him the opportunity to recreate the character that made him a star. After four seasons and 88 episodes, the show was canceled in 1997. David Carradine’s career included more than 100 feature films, dozens of television movies, a range of theater on and off Broadway and another hit series, Kung Fu: The Legend Continues (1992). Carradine received the Best Actor Award from the National Board of Film Review as well as a Golden Globe nomination for his portrayal of Woody Guthrie in Hal Ashby‘sBound for Glory (1976), and he won critical acclaim for his work as Cole Younger in The Long Riders (1980). “Kung Fu” also received seven Emmy nominations in its first season, including one for Carradine as Best Actor. In addition, he won the People’s Prize at the Cannes Film Festival’s “Director’s Fortnight” for his work on Americana (1981), and a second Golden Globe nomination for his supporting role in North and South (1985). Among his other notable film credits were Gray Lady Down (1978), Mean Streets (1973), Bird on a Wire (1990), The Long Goodbye (1973), Das Schlangenei (1977) and Circle of Iron (1978). He returned to the screen in what could be his greatest performance, playing the title role in Quentin Tarantino‘s Kill Bill: Vol. 1 (2003) and Kill Bill: Vol. 2 (2004), for which he received his fourth Golden Globe nomination. He also continued his devotion to music, and recorded some 60 tracks in various musical genres and sang in several movies. He made his home in Los Angeles with his fifth wife Annie, her four children and their two dogs. David Carradine, the man who helped introduce kung fu to America was found dead in Bangkok, Thailand, on June 3, 2009. He was only 72 years old. RIP Kwai Chang Caine. 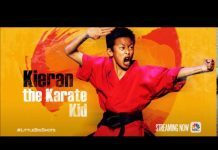 He is among the first Hollywood actors to perform Chinese martial arts on the big screen. In real life he is also a genuine kung fu fan, and knows tai chi, qi gong and Chinese medicine. Same as I, people shall always remember his role as Caine, the grasshopper, in Kung Fu, in the ’70s, which was a really unforgettable performance. I feel both great honour and regret that True Legend is one of David Carradine’s last works.